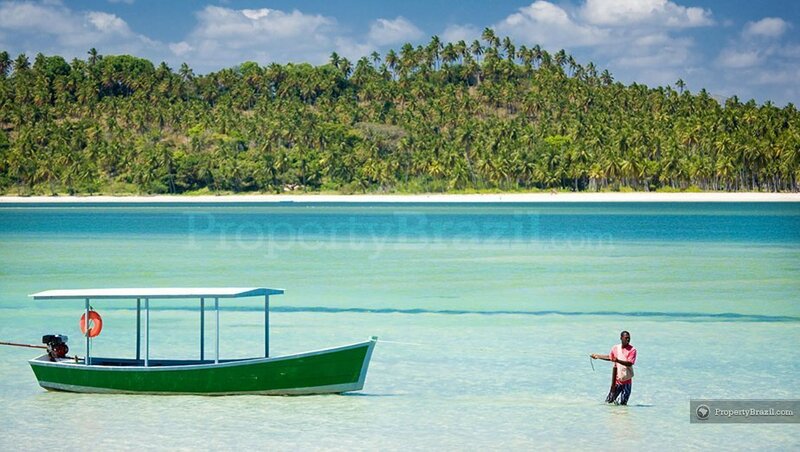 Renown for its spectacular beaches and stunning turquoise colored natural pools that form in the offshore reefs, Porto de Galinhas is one of northeastern Brazil’s most famous holiday destinations. 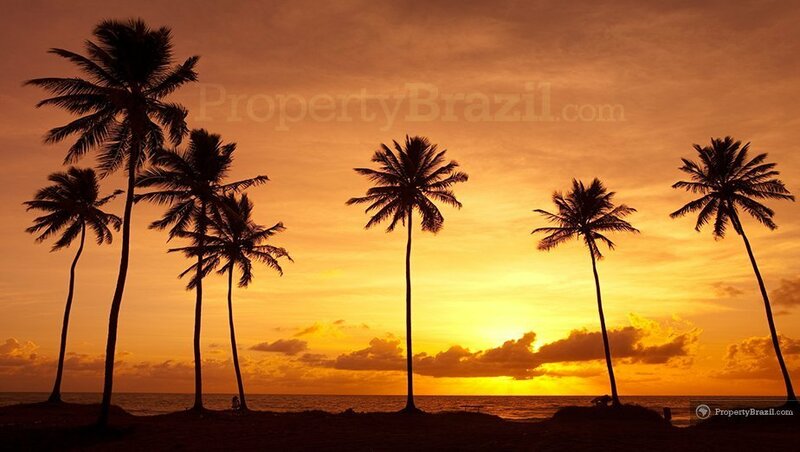 Located 65 km south from state capital Recife, this famous Brazilian hotspot offers visitors with an excellent infrastructure with plenty of luxury beach resorts, cozy town center, good night life, joyful excursions and kilometers of stunning beaches with warm and transparent waters. The name that simply means “Chicken Port”, originates from the 1850’s when Brazil abolished the slave trade. In order to escape the watching eyes of the authorities, slaves being shipped to this port where instead referred to as “chickens” and the area gained its current name. 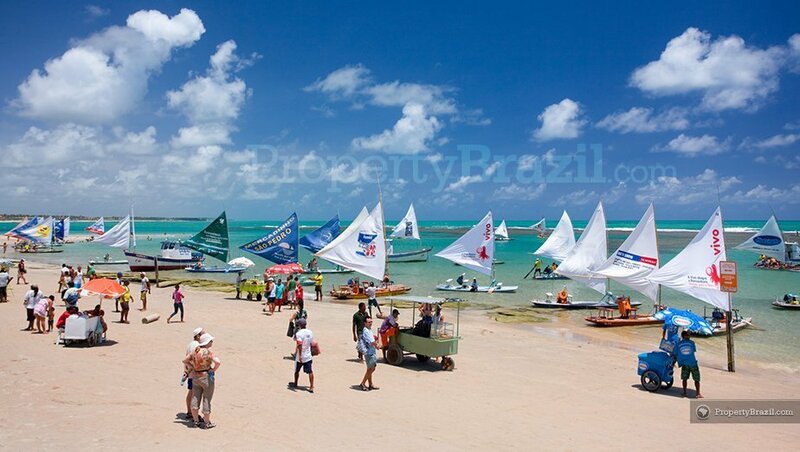 The main beaches in Porto de Galinhas are Vila, Muro Alto, Cupê and Maracaípe. 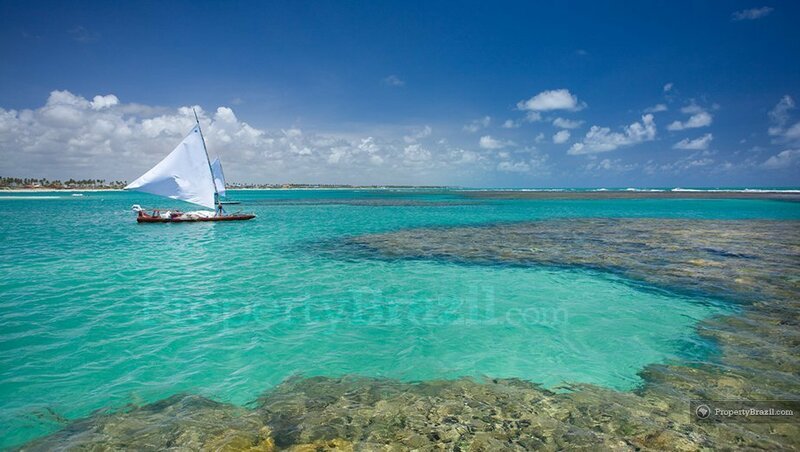 Vila, which is the beach in the center, is the departing point for the trademark boat tours that makes this destination so famous. 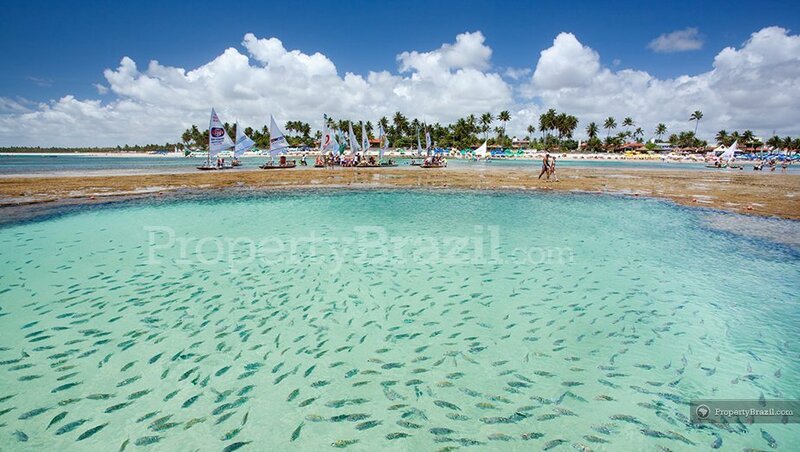 The beautiful natural pools that form in the coral reefs lying just in front of the beach boast plenty of colorful fish and are great for snorkeling. Many of the streets in the center are only for pedestrians and tourists can enjoy from plenty of restaurants, shops and beach clubs in a great setting. 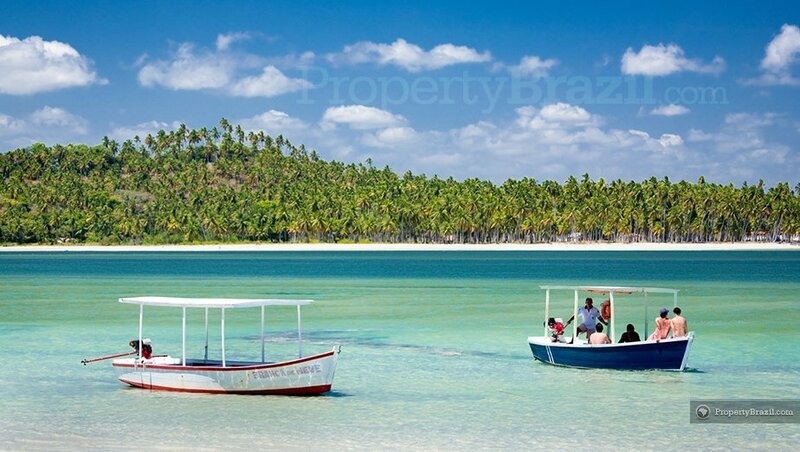 Majority of the beach resorts in Porto de Galinhas are located along the famous Muro Alto beach. The reefs just in front of this fantastic beach offer a natural protection from the waves and an enormous 2 km natural pool forms here with calm and crystal-clear waters. 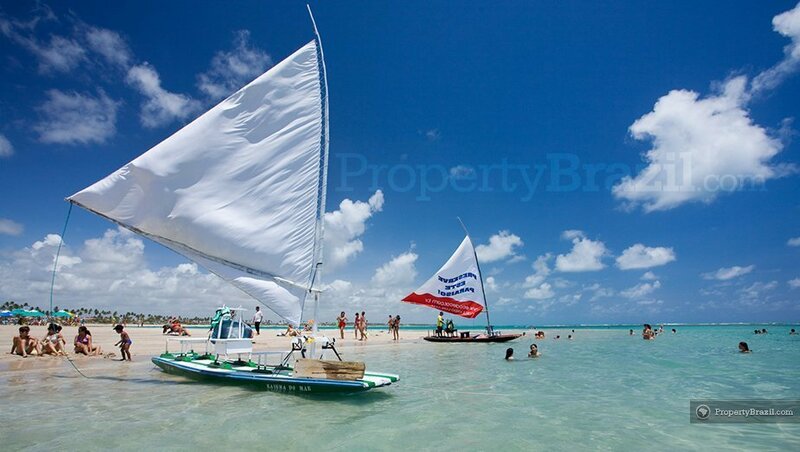 The southernmost beach in Porto de Galinhas, Maracaípe, offers great surfing with big waves and often hosts surfing competitions attracting a young and trendy crowd. 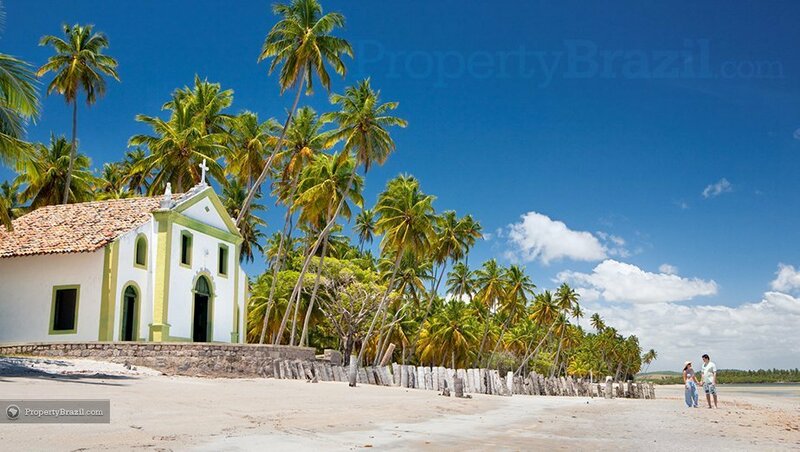 Praia dos Carneiros that lies slightly south from Porto de Galinhas close to Tamandaré, is one of the most stunning beaches on the Recife coastline. The coconut palm trees lining this beach combined with the shallow and transparent waters creates a truly paradisiacal setting. 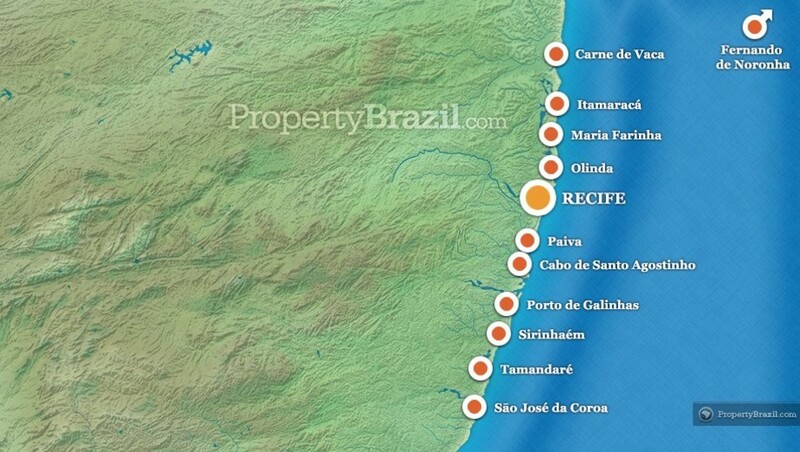 Recife’s International Airport is well connected from all major cities in Brazil and receives many international flights as well. 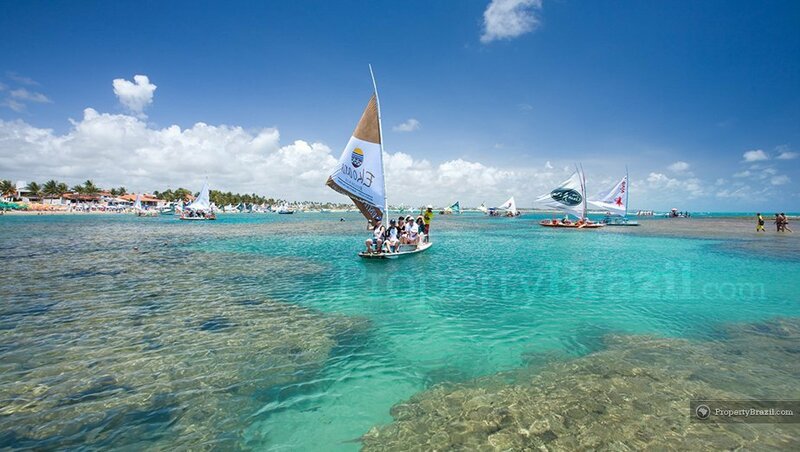 Please consult the flight guide or participate in the forum to learn more about flying to Recife.